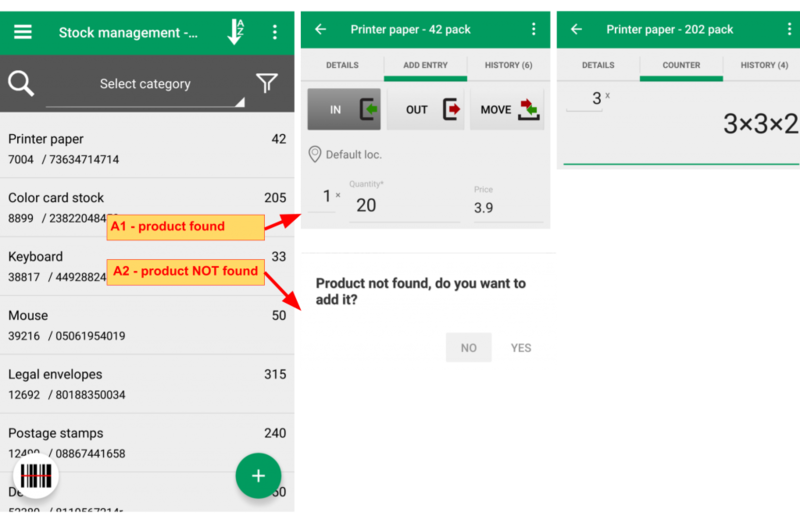 Whitin the item area -> Tab "Details" -> Section "Summary"
How to collect data on multiple locations? 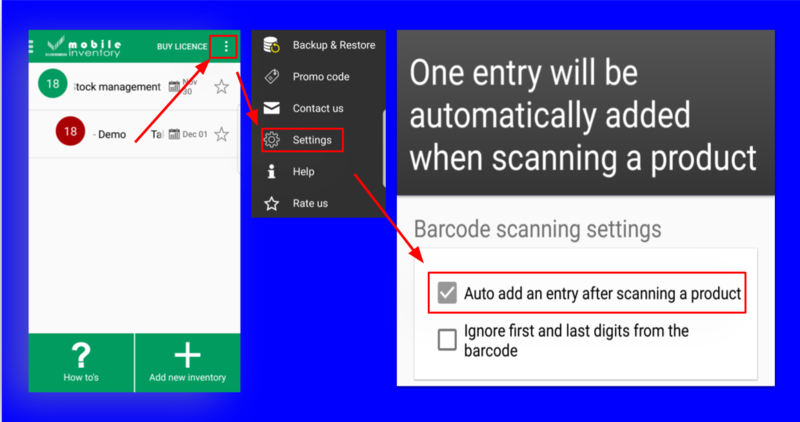 When a bar code is scanned and the item is recognized a NEW entry is added automatically for that item. 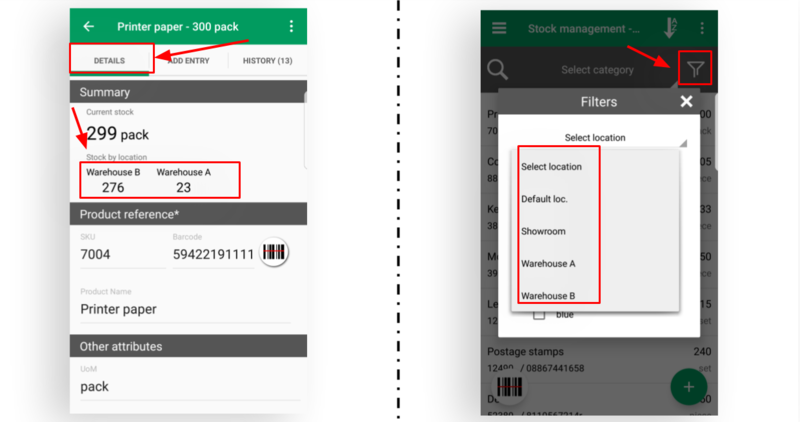 Within "Barcode scanning settings" area check "Auto add an entry after scanning a product"
Stock entries are used in Stock management inventory type. Optional - only if you work with multiple locations. If you don't add the location - the application chooses for you automatically the "Default location"
Optional. 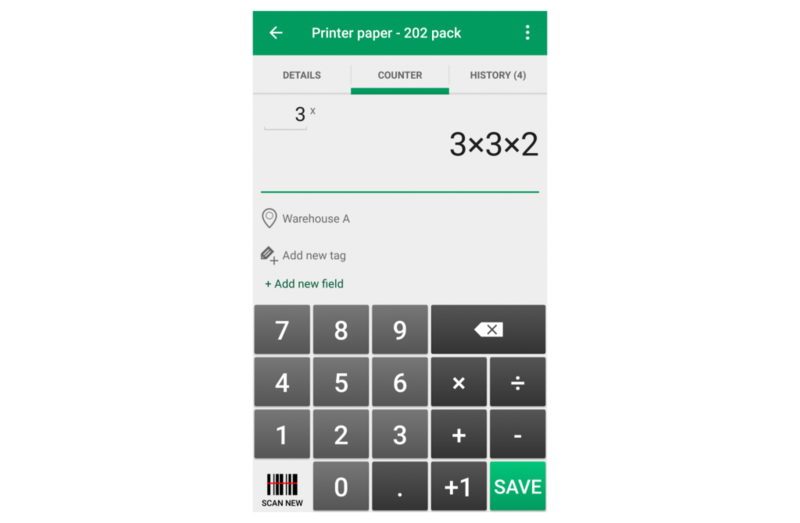 Batching factor is a multiplicator of the Quantity field and is used when your products are delivered in packages. Example: one box contains 6 bottles. 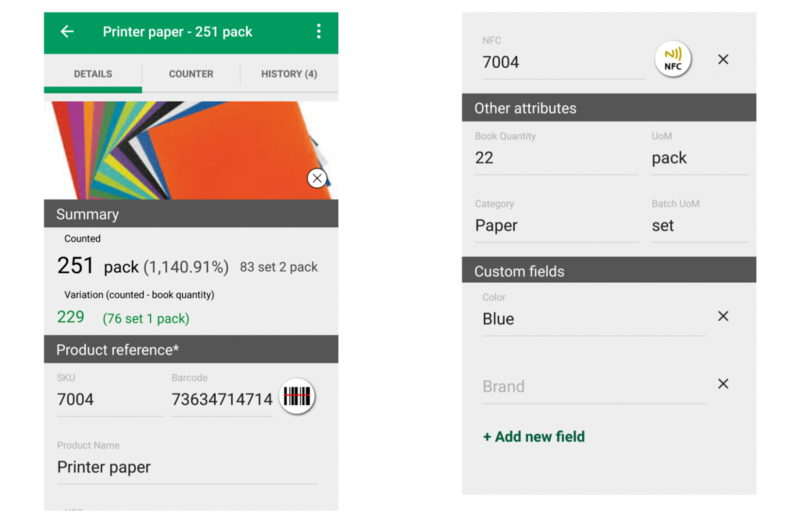 You fill 6 in batching factor area and 2 in quantity area. When saving will be recorded 12 bottles. 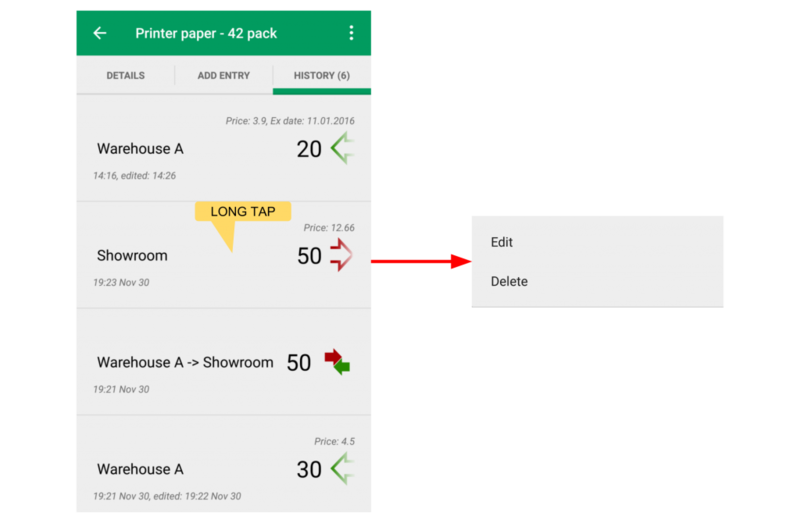 Navigate through entries history and edit or delete them. 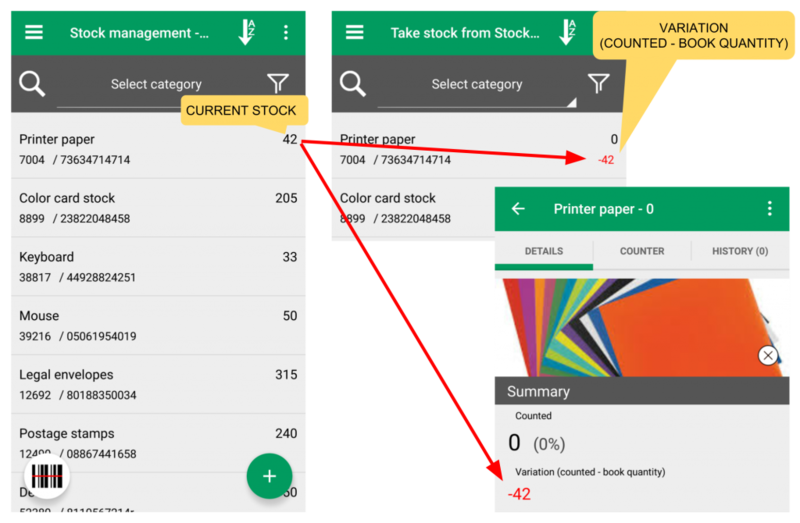 Counting physical inventory can be done in Take stock inventory type. Navigate through countings history and edit or delete them. 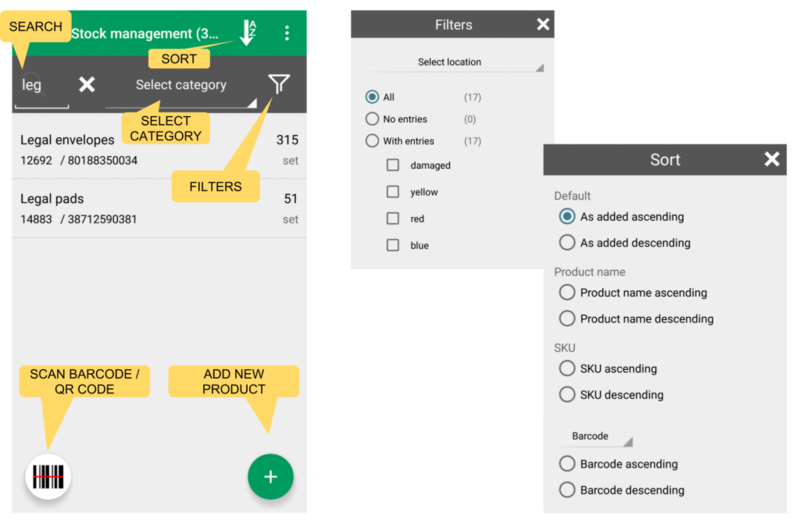 These entries drive to final stocks for each product (overall or by locations). 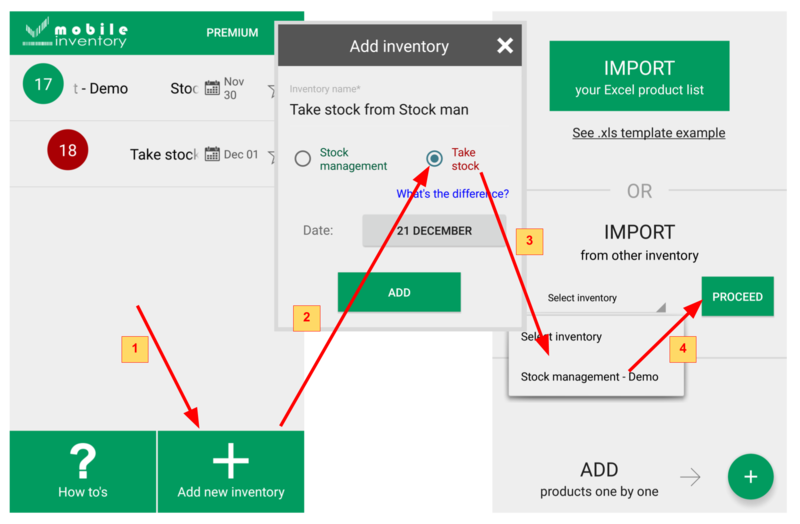 Another specific element for stock management is using the price field for each entry (this is optional, only if fits to your need). 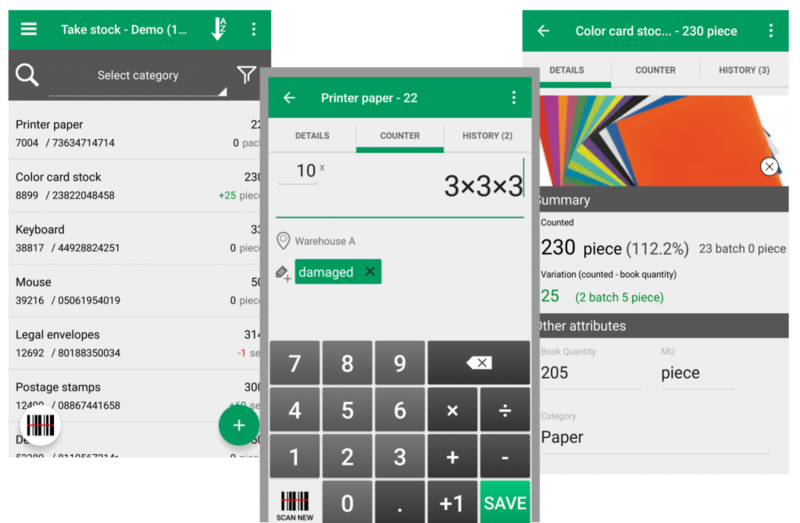 Also you have a history list where each entry is marked intuitively depending on its type. Take stock it's about counting physical inventory and comparing counted quantities vs. book quantities. These are "time to time" operations. 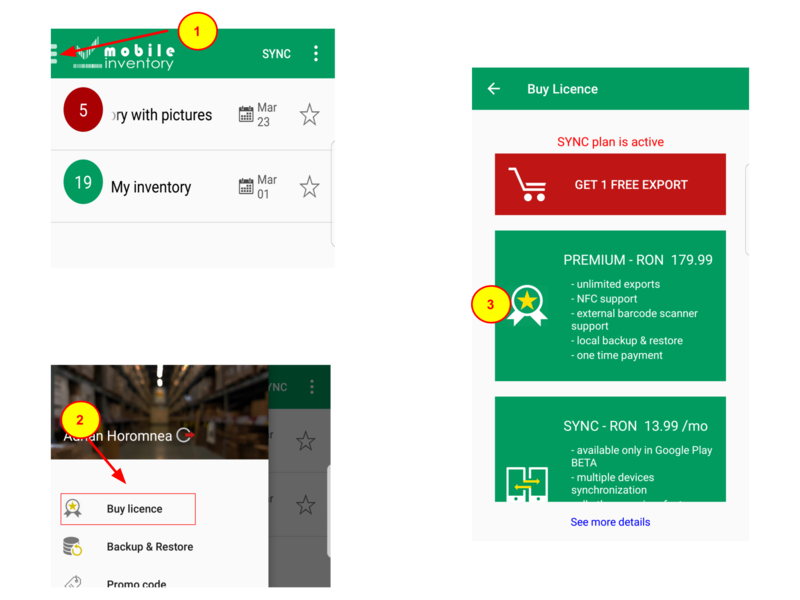 How to get PREMIUM / SYNC? We strongly recommend you to make periodically backups to your data and save them to your computer / external disk, etc. 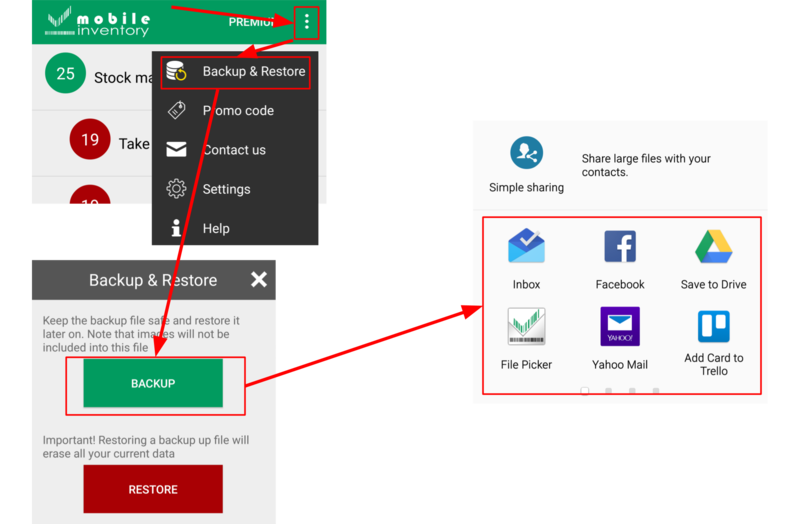 In that way - if something wrong has happened to your mobile device - you can restore data from the last backup. 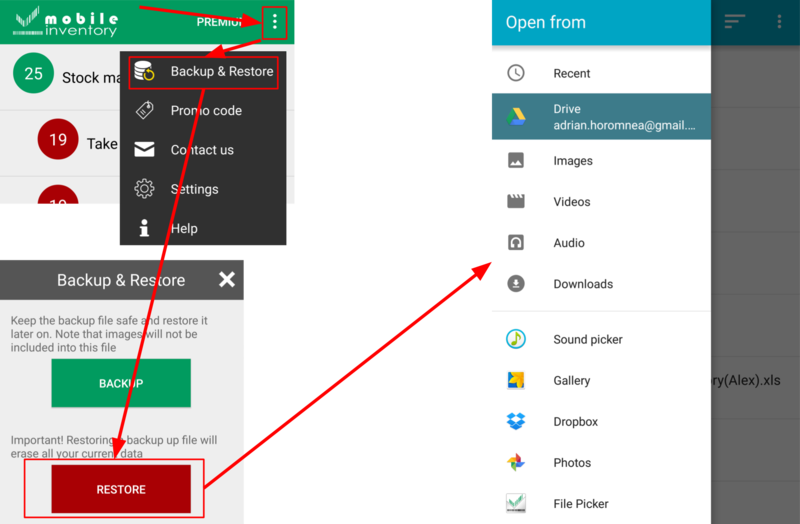 If you have saved the backup file to an external disk you should copy it first to your mobile device memory card. 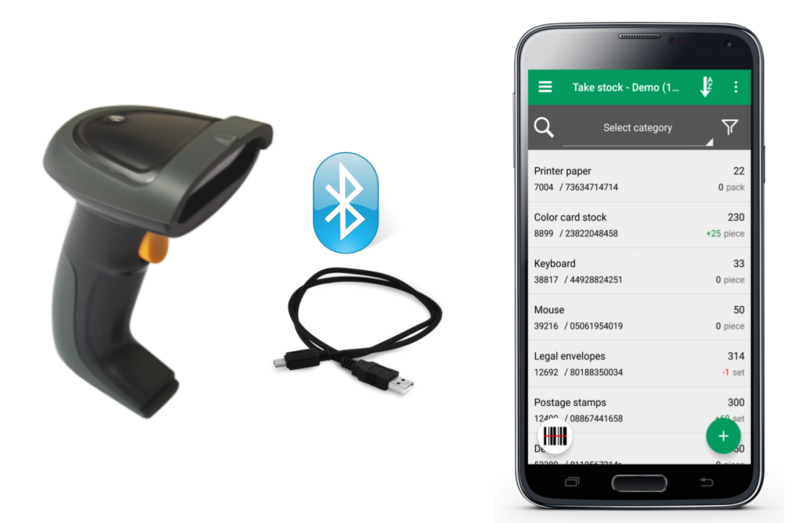 If you have a barcode scanner that can be paired with mobile device - in order to scan barcodes easier . 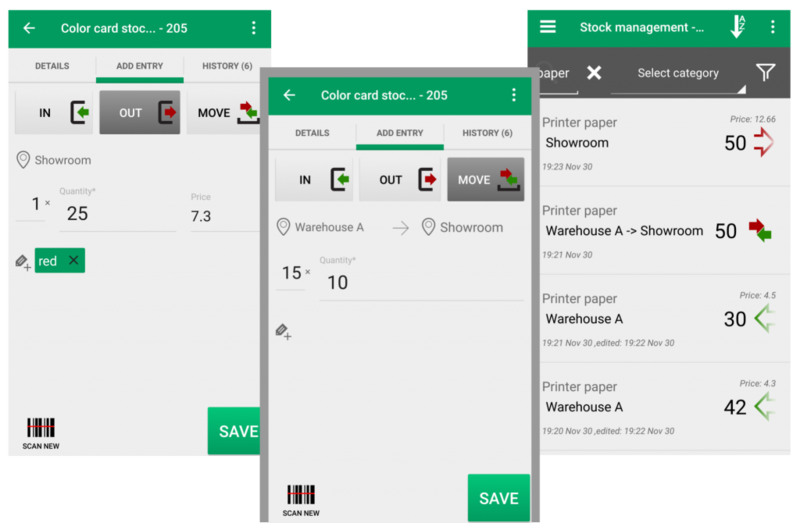 Identify quickly the products using NFC reader. 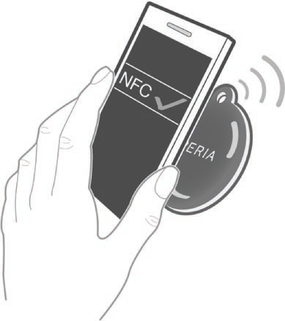 You don't need another application to write NFC tags. 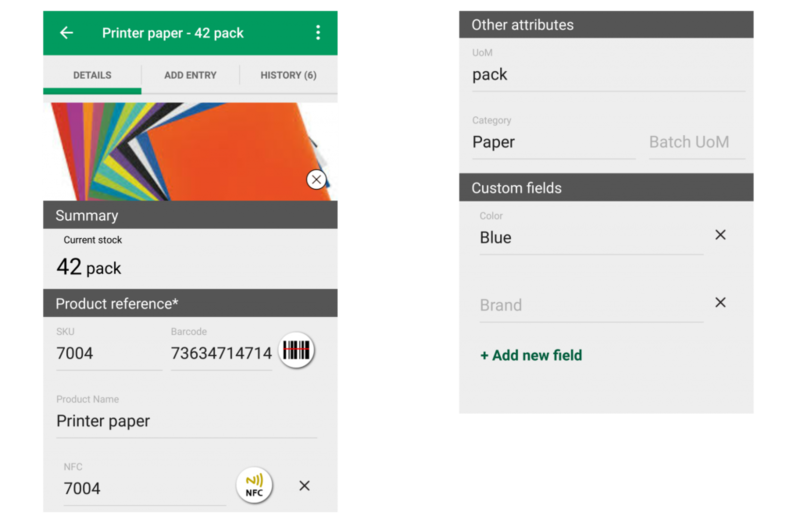 You can choose to write to tag from the dedicated NFC field or any of: SKU, Product name, QR / Barcode. 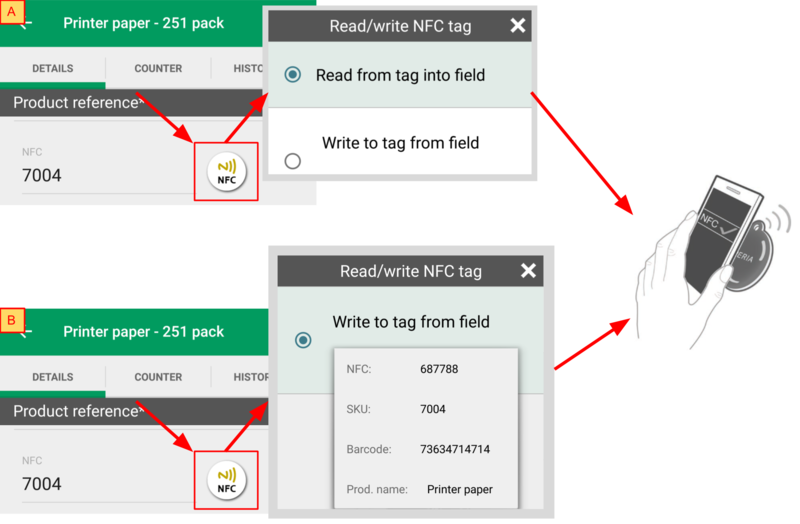 For reading from tag into field or writing to tag from field you have to hold the device close to the tag. 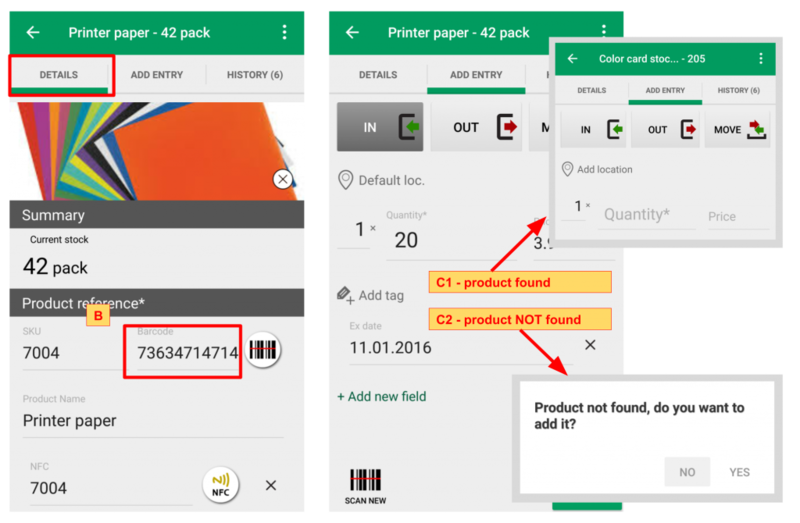 (A) Within product area -> Details tab -> Tap on NFC button -> Choose "Read from tag into field" -> Hold the device close to the tag. 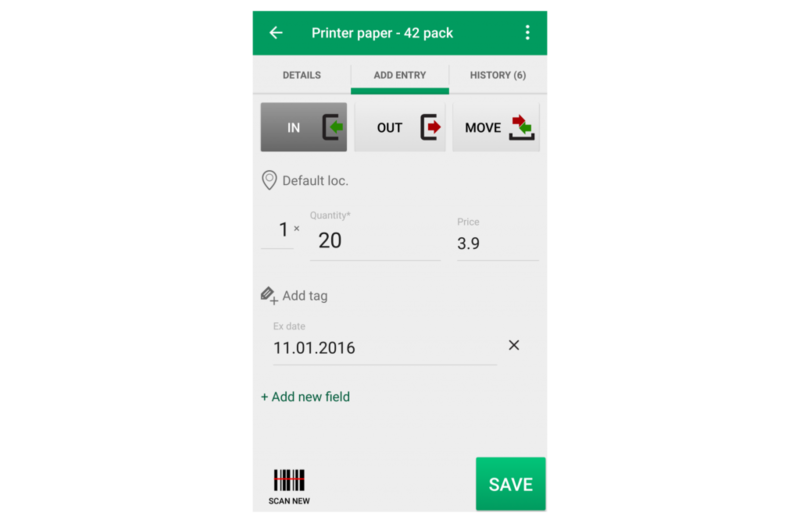 (B) Within product area -> Details tab -> Tap on NFC button -> Choose "Write to tag from field"
Hold the device close to the tag.